This journey will start by exploring the holy city of Lhasa. You will see the main Buddhist sites in the city including Jokhang Temple, Drepung Monastery, Norbulingka Palace, Sera Monastery and the Potala Palace. You will also be able to explore the Old Town of Lhasa and rub shoulders with some of the thousands of pilgrims who are here each day. Altogether, you will spend 3 nights in Lhasa. Next, you will travel to Ganden monastery and Drak Yerpa meditation cave for a day trip with 2 hours hike on both place to see the beauties of Ganden valley and Yerba valley. Later travel to the first Palace and first monastery in Tibet at Tsetang region known as Samye monastery and Yumbulakang Palace with a visit to the meditation caves of 8th century Tibetan ancestors at Chimpuk. 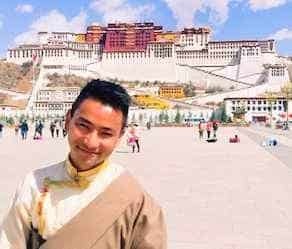 From Samye, we will drive to southern Tibet with a scenic drive through Shigatse going via Yamdrok Lake, Karo La Glacier, and the Gyantse Kumbum Stupa. From Shigatse, you will then drive to the North Face Base Camp of Mt. Everest where you will be rewarded with an up-close view of the world’s highest peak! From Everest, you will then drive to Old Tingri where you will see more view of Himalaya, after driving to Kyirong Border with the view of Shishapangma Mountain (8012M) and Phikutso Lake along the way. The Tour includes hiking, beauties of monasteries and the nature in Tibet while traveling to Nepal. After the Yumbulakang Palace, we will travel to the Samye monastery to visit the Chimpuk meditation caves with nunnery. Samye monastery is the first monastery in Tibet. The monastery is full of blessings from Maha Guru Padmasambhava. On this day we drive approximately 360km, first stopping along the banks of Yamdrok-Tso, the sparkling turquoise lake, for photos. After, on the way to Gyantse we cross Kampa-la (5050 m) and Karo-la Pass (5045 m) to view the Mt. Nojin Kangtsen Glacier falling down near the road. Upon arriving in Gyantse (3950m), we visit the seven-story-tall Kubum Stupa and Pelkor Chode Monastery. Also, we admire the Gyantse Dzong (fort) overlooking Gyantse, famous for the British military siege led by Colonel Younghusband in 1903. After spending some time at Gyantse, we drive 90 km to Shigatse via enjoying the beautiful landscape and small villages along the way. We also visit Shigatse Market and view the panorama of Shigatse Dzong (fort), with its architecture reminiscent of the Potala Palace. We leave Shigatse and drive to Shegar across Tsou-la Pass (4500m) and Gyatso-la Pass (5220m), with good weather you can see your first views of Mt. Everest. At the end of the day’s 230km journey, we arrive in the evening at Pelber (New Tingri) (4300m). We then arrive at Rongbuk Monastery, the highest monastery in the world, 4km from Everest Basecamp. The 100km drive takes approximately 4 hours due to unpaved roads. Overnight at Everest Basecamp area at tea tent dormitory or in the off-season from November to February at Rongbuk monastery dormitory. Tibet Travelers can also help to arrange a private vehicle for you with our Nepal agency help for 260 US dollar extra. 81 queries in 0.310 seconds.